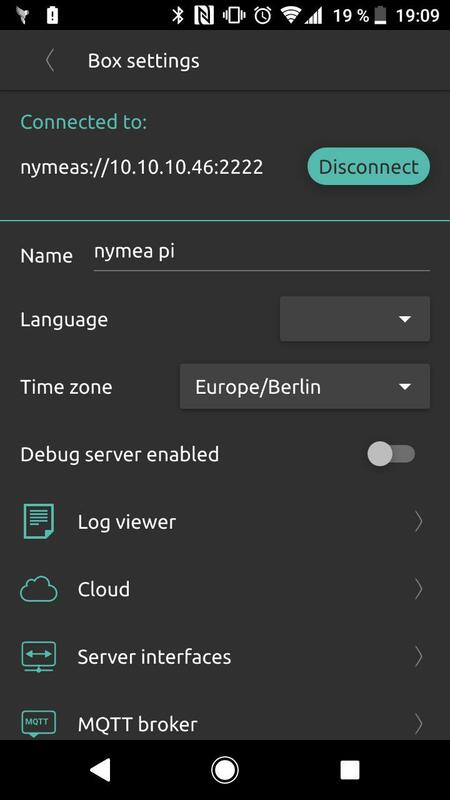 Once you have successfully installed nymea:core on your Raspberry Pi, Linux PC or a nymea box it is time for the basic configuration. Open nymea:app on your phone to get started. 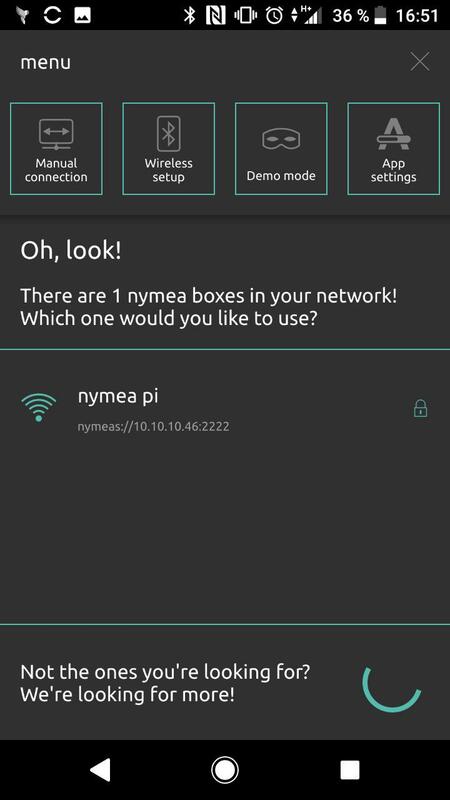 It will show you a list of all the nymea boxes found in your network. If you're using WiFi don't worry if your box doesn't appear just yet. The Configuring Network section will show you how to connect to your box. The first thing a nymea setup needs, is to setup the network configuration. If your nymea box is using wired network, everything should work out of the box. Just plug in the network cable and the box should will in your network. If instead using WiFi, the wireless credentials need to be provided to the box. To do so, nymea offers a WiFi setup assistant in nymea:app. Open nymea:app on your mobile phone or tablet and press the Wireless Setup button. In the next window, select your nymea box. Once the app is connected to the box it will present you a list of wireless networks. Select your network and insert the password. The password will be transmitted to the nymea box and the box will connect to your WiFi network. Now it should appear in the main screen of nymea:app. Tap on it to connect. Once you're connected to your nymea box it is recommended to verify and set at least the system's time information. For that, open Box settings from the main menu.